The Kimberley set for a big cruise season. There may be no better year than this to cruise the Kimberley coast. Fed by the liquid largesse brought by a heavier than usual wet season, the waterfalls that stud the Kimberley are gushing, the land, once dry and cracked, is emerald cloaked. It is vibrant and alive – fresh but still a repository that is as old as the Earth. Within this sanctuary the land is riven with ancient gorges, enriched by rock art. The Kimberley is unmistakably wilderness but now it’s a lot easier to reach and particularly so from the ocean. An ancient continent shows a fresh face. 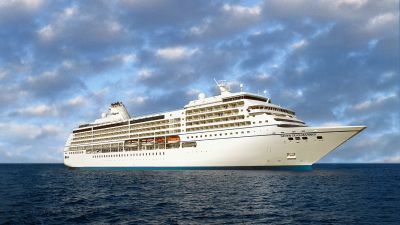 Major cruise lines are including the Kimberley in their itineraries this year — the biggest cruising season yet begins along the Kimberley coast. But small to medium-sized ships can ease into bays — rather than cruising past, they explore deeper, spearing into this coast, meandering among the islands of the archipelago, buccaneering between the beauty spots that punctuate each itinerary. Facilities are first-class on these ships but guests will set off in tenders and smaller vessels to see the best of the region; Horizontal Falls, Montgomery Reef, Mitchell Falls, King Cascade, Raft Point, King George Falls are usually all included. Add to that, the humbling experience of seeing rock art tens of thousands of years old, and given context by expert lecturers, as well as visits to pearl farms — vestiges of a more recent history — or fishing time at waterholes which teem with barramundi. There are local operators, too, offering both organised itineraries and chartered cruises. The knowledge of these people who know this land and sea is invaluable and immersive.